Welcome to my blog. This a refuge for those fishers who measure a good day on river or lough not by the weight of fish in the bag at the end of the day but by the sights, sounds and feelings which our sport engenders in all of us. Don’t expect any cutting edge tactics, in depth tackle reviews or super-dooper killer flies from me – I am an expert in none of the above. I live and fish in the West of Ireland, tossing flies at fish who rarely appreciate my efforts. This blog is simply the ramblings of an angling mind set amid the wonders of this beautiful land. By far the greatest part of my angling is dedicated to fly fishing for trout and salmon. The previously excellent large limestone loughs like Conn, Cullin, Mask and Carra are only a shadow of their former selves now but they can still provide a modicum of sport with brown trout on a good day. 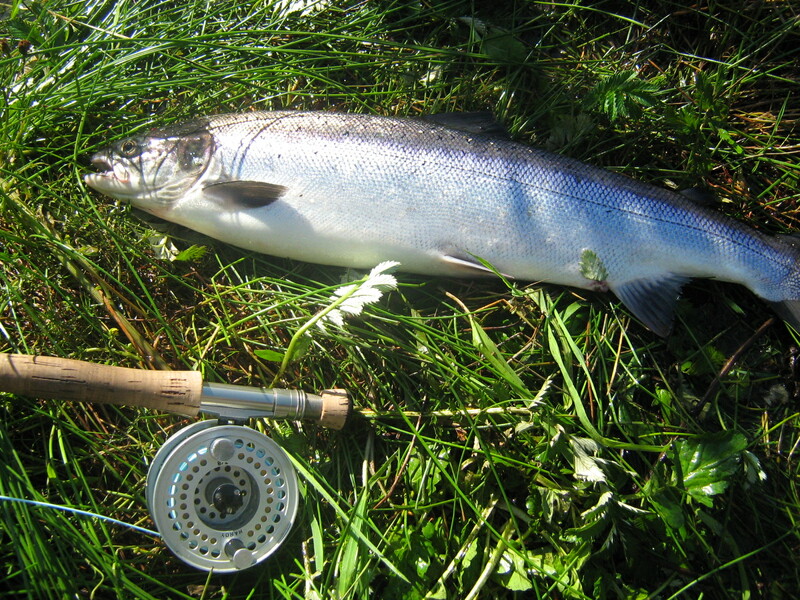 Salmon are scarce around here, especially the spring fish. Years of over-exploitation have taken their toll and most days spent chasing salar end up as disappointing blanks. Grilse do still appear in reasonable numbers some years and given a wet summer I venture out to try and lure these fabulous fish. The difficulties makes any success with salmon all the more special and I love fishing for them and get out with the fly rod as often as possible. 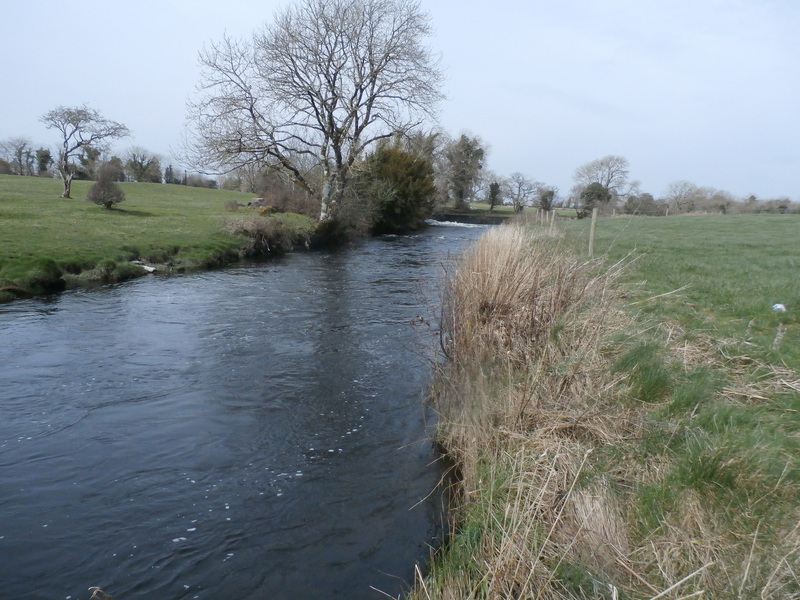 Local anglers tend to view brown trout as a lough species and pay little or no attention to them in the rivers. I buck that trend and do most of my trout fishing on rivers with only occasional trips out on the lakes. I guess this harps back to my early angling education on the rivers of Scotland and I enjoy a hour on the river more than a day on the lough. Sure the trout are smaller but size isn’t everything and the intimacy of trying to catch trout on tiny flies in running water is a huge pleasure for me. The last couple of seasons have been very difficult on the rivers where I fish with pollution and netting being huge problems for both trout and salmon. While most of my angling is fly fishing for salmon and trout on rivers and lakes I do also dabble in the black arts of spinning and trolling when conditions dictate. While I enjoy a few hours dragging bits of metal or plastic through the water for a change I lack the patience to devote myself to spinning on a regular basis. While I claim little knowledge of fly fishing I know considerably less about spinning and next to nothing about worming. I have seen good bait fishers winkle fish out of water which I have recently flogged without so much as a rise and I accept there is room for us all on the river. Somewhere in my tackle there is a dapping rod but it has not been used in years and the dap is another method I leave to those with more skill than I do. I also do a little bit of sea fishing. Nowadays I am confined to occasional summer fly fishing trips searching for Mackerel and Pollock or a boat trip out off of Achill Island in the summer. The seas to the West of Ireland have been systematically emptied by European trawlers and there is little or nothing left to catch now. There still a few mullet, flats and rays around in the summer and autumn though to keep me entertained. I am an exiled Scot, hailing from the cold, grey fastness of Aberdeen where I learned to fish many years ago on the hallowed waters of Dee and Don. 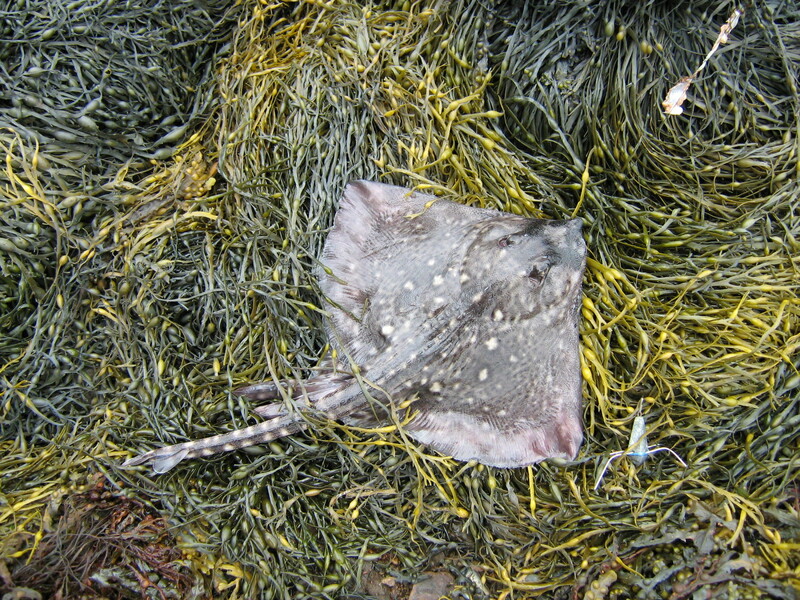 I have fished in Ireland since the early ’80s and relocated west of the Shannon in the late ’90’s. I tie a lot of flies so there will be a few dressings sprinkled across these pages. I keep promising to learn how to make good quality videos of my fly tying but there is still a long way to go with that project! For now, I will post new patterns or variations of the old standards which have proved their worth in this neck of the woods. I also mess around with old tackle in general and reels in particular. I buy up old bits and refurbish them for further use and own a pile of vintage reels which I strip an repair where possible. I like learning a bit about the other bloggers who I follow so hear is a potted history for you of my life to date. I have been one of those tremendously lucky people who has not yet suffered serious illness or the challenges that modern life seems to throw down to so may of us. I have lived in peaceful and welcoming countries, benefited from an education and have a small but close circle of family and friends. I trained and spent most of my working life in manufacturing industry and am currently a self-employed Interim Manager, meaning I take short term contract work. This is a haphazard way of making a living with the constant threat there will be no work at the end of the current role and the need to work away from home. My partner, Helen, and I love the outdoors and we try to get out into the amazing Irish countryside as often as we can. We both love animals and there is usually a scatter of cats and dogs in the house. We lost our much loved rough collie, Nessie, in 2017 and are mulling over a new dog (or dogs). One of my dreams is to fly fish in the west of Ireland. Looking forward to reading your blog.